Your child is moving towards independence, and a bit part of that is learning to get dressed independently. 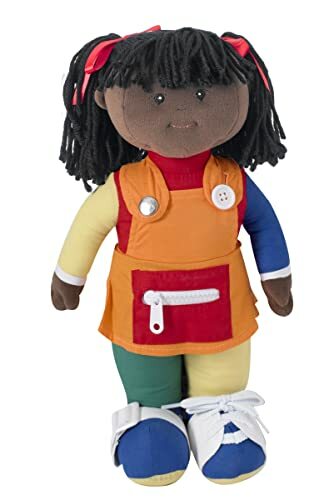 It’s difficult to practice on yourself, but having a doll to help with the learning process can be a great help to a child. This list of Learn to Dress dolls gives your child a leg up on those tricky moves that mean the difference between having a parent dress you forever and successfully putting on jackets or navigating buttons on pants. Let’s take a look. What Type Of Doll Do You Want? Each doll offers an aspect of dressing that can help your child coordinate those tricky moves. There are tons of dolls to choose, but these are great places to start. The first doll is a soft boy or girl that has some of the trickiest parts of getting dressed. Your child can practice manipulating buttons, zipping up and down, buckling, tying a shoe, or fastening a pocket. 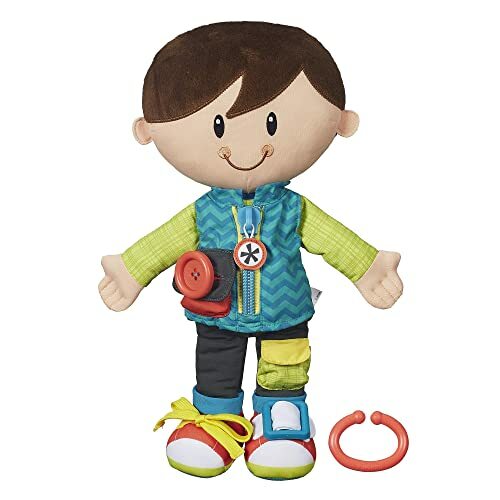 These skills require excellent motor skills from children that they may not have quite yet, so the practice doll is a great, low frustration toy. There aren’t any pieces or accessories to get lost. 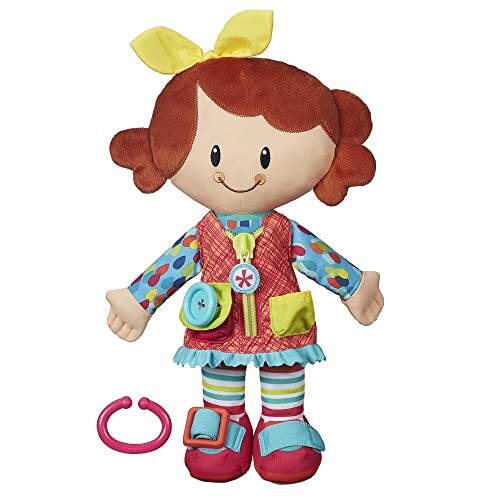 Instead of a full dress, this is a good beginner doll for kids who are just becoming independent. You don’t have to worry about keeping up with pieces, and it comes with a handy attachment so you can attach to a bag, stroller or car seat for easy entertainment. For children ready for a few more dressing tasks, the Alex Monkey or Kitty doll adds a few more features for 11 activities in total. Your child can practice fastening buttons, tying shoes, hooking a loop, buckling, and a range of other everyday clothing actions. The cute monkey or kitty is soft and offers a low-frustration way to get these activities down before trying them with real clothes. The toy is easy to wipe clean and comes with an attachment so that it attaches to a bag or car seat. The clothing and shoes are entirely removable, giving children the chance to practice coordinating arms and legs into clothing (but that does mean you’ll have clothing to keep up with). This adorable teddy bear offers comfort and learning at the same time. 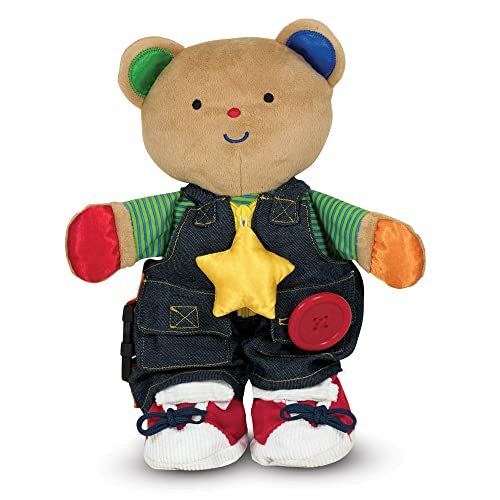 The bear’s outfit contains a range of fine motor actions involved with dressing, including zippers and buttons. The clothing is removable, and the bear is simple to wipe clean. A bear is an excellent choice for children who need more than just a dressing doll. It’s a great option for children that want stuffed friends for comfort and who need that familiar feeling of a teddy bear in addition to the activities. Melissa and Doug also guarantee that all their toys are made with sustainably sourced, non-toxic materials. 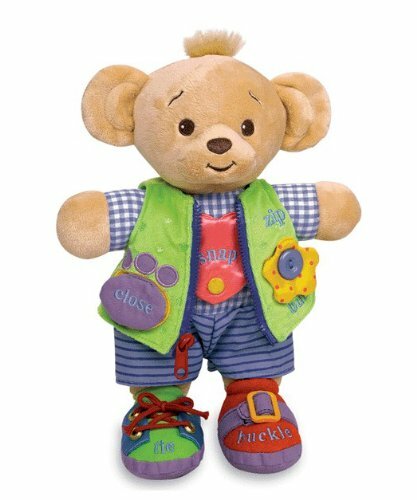 Another bear friend, this one also features a removable jacket with a range of dressing activities including buckling, zipping, and fastening button. The rest of the clothing isn’t removable, so you won’t always wonder where all your accessories are. The bear is (gently) machine washable, so it will always be cleaner than some of your more delicate toys. The vest is hand washable in cold water. In the middle of the bear’s chest is a satin heart, which can provide a soothing tactile sensation. 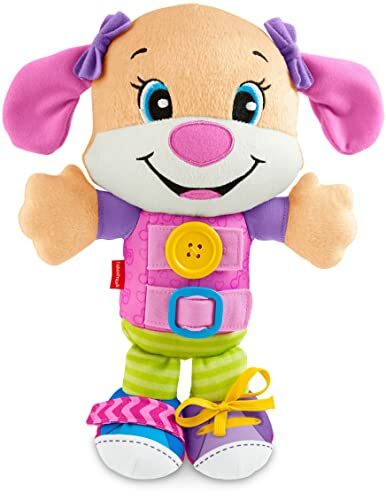 These two soft puppy toys offer children the chance to practice those challenging dressing moves along with over 30 playful songs and phrases. If your child needs more to help stay focused and interested, this could be an excellent option. 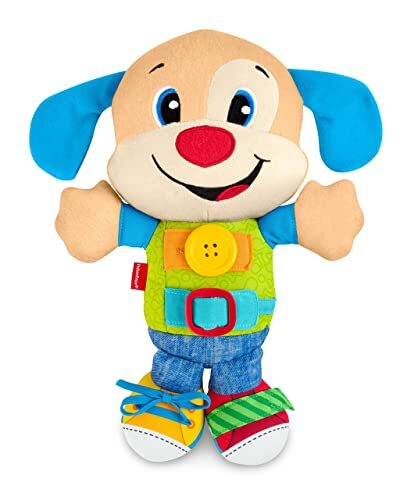 The puppy encourages your child to perform the dressing activities and also begins to teach body parts, shapes, and colors. The toy even has phrases and songs about your child’s daily routine, which can also be a great teaching tool. It’s easy to wipe clean and offers soft comfort when your child isn’t in the mood to play. The final doll is a sweet friend with soft features and five different dressing activities. The accessories are completely attached, so there’s nothing you can lose when you’re out, and the doll is gently machine washable. She can help your child build the fine motor skills needed to get dressed independently. This option is closer to a real doll, so it has the potential to go with your child even beyond learning to get dressed. The fabric features offer comfort and a pleasing tactile response even as your child is manipulating the activities. Once your child has learned how to get dressed, the doll can continue to be an essential part of their imaginative play. Learning to Dress dolls are wonderful options for children to practice fine motor skills even before they’re officially learning to get dressed on their own. Those little activities build confidence and keep children’s minds occupied without screens. Here are a few things to keep in mind as you’re making a decision. Age is an essential factor in the type of doll you choose. Very young children may not need more than a handful of activities because they aren’t mature enough to perform truly complex fine motor actions. Introducing common things like buttons or zippers can help children build those skills without getting frustrating. Older children who are already asking to do things by themselves could benefit from more complex dolls that include even taking clothing or shoes on and off. Those actions build the skills needed to take the next step and dress themselves. You’ll also need a child that is beginning to understand how to keep up with things because those accessories could disappear quickly. Dolls could be used for actions beyond getting dressed. Some can follow your child even beyond the act of learning to dress by becoming an integral part of your child’s imaginative play. These dolls or teddy bears are good options too if you have an older child who is still having trouble with some of the basics. Other options include smaller dolls that can attach to bags, strollers, or car seats and offer a way to entertain a child without resorting to screens. The actions are good for car trips or the grocery store when children need something to occupy their minds. The good news is that most of these dolls are very affordable. You don’t need to spend a lot of money on a complicated doll that your child will lose interest in when there are plenty of simpler options that won’t break your wallet. The goal is to help your child practice those skills in preparation for dressing alone, so looking for those basics is more important than spending a lot of money. Learn to Dress dolls can prepare your child for more independence and practice fine motor skills. They can be just the thing your child needs to build that independent spirit and prepare for the day when they’re finally ready to do it themselves. Is your child already asking to «do it myself» when getting dressed? Let us know if one of these dolls can help in the comments below.